Not every car we run here makes the power that it is supposed to. 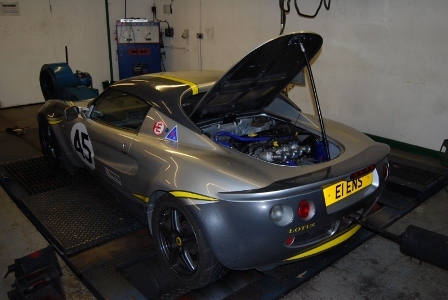 I had an Elise in recently that was only making 170bhp in spite of having good compressions and correct cam timing. Everything checked out okay apart from the power – or lack of it. Sadly I have no magic wand so beyond checking the obvious there’s not much you can do as a rolling road operator. It is even harder when you are trying to fault-find over the phone. The second Elise was making 177 bhp where the engine spec from DVA Power should have made more like 200bhp. After being assured that the cam timing was right and the compressions were good we began to suspect that the rolling road figure might have been overly pessimistic (the car was quick). The suspect Elise was booked in to coincide with an Event at Hethel test track and appeared early on a Monday morning. The initial run showed 174 bhp on my rollers so there was nothing wrong with the original test. We started to look at doing a cylinder leakage test but then young Jono said that he hadn’t checked for full throttle yet. Sure enough, it was only opening about two thirds! 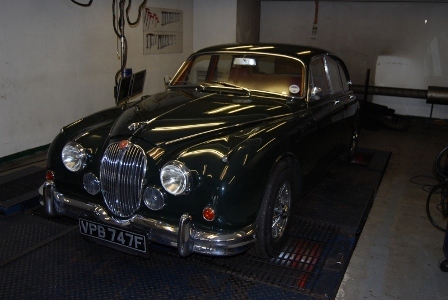 It took a bit more than five minutes to adjust the throttle stop and the cable slack but eventually we had full throttle and straight away the engine made 192 bhp. With Piper’s 1444 cams the torque was good at high rpm but I reckoned it could be better still. We fitted a set of adjustable parallel trumpets and then gained 17 ft lbs over the tapered trumpets and 12 bhp on peak power. Normally we see no peak power gain but I think we could have gained more torque at the expense of top end with longer extensions to the trumpets. However for a sprint car the set up looked good so we settled for that. I can’t say I am a big fan of the Beetle but I can see why some people are. They make amazing drag racers because the engine is all hanging out the back with gives super traction on a RWD car. This example looks really tatty but under the bonnet is a super neat supercharged engine. 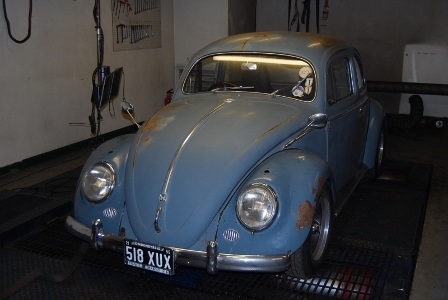 The plan is to lacquer the existing bodywork so that the tatty exterior is maintained but it will not go rusty. Now that’s a plan I do approve of - I think they call them “rat cars”, where we used to call them “Q Cars” named after the disguised Q-boat warships of WWII which looked like harmless trawlers but were anything but. Not into Beetles? Then how about a 1920’s pick-up truck? This one was powered by a Ford Zetec engine. 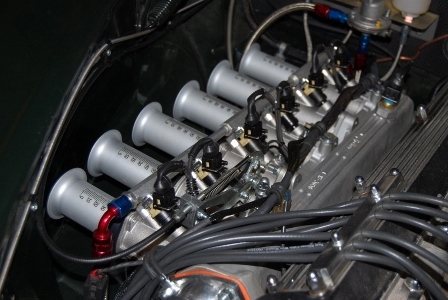 While V8 engines used to be all the rage for this type of car more and more people are going the simpler 4 cylinder route as being a more practical power mode. You get good fuel consumption and it’s much cheaper to install than a V8: makes sense to me. The thing I really loved about this car was watching young Jono trying to get behind the steering wheel – bugger all clearance between the wheel and the seat and there’s nothing much you can do about it except pull in your stomach and twist your legs into place on the pedals. I guess you either love this type of car or hate them, but I liked it – probably because it is even older than I am. It has been a month of very unusual cars, from the pick-up and beetle above to this Honda F1 look-alike made by Stuart Taylor. 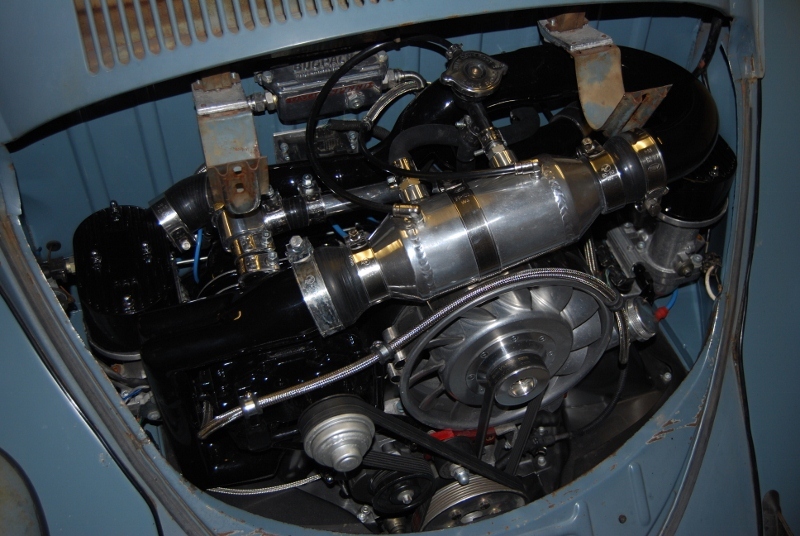 The car is powered by a Chevy LS engine of six litres. 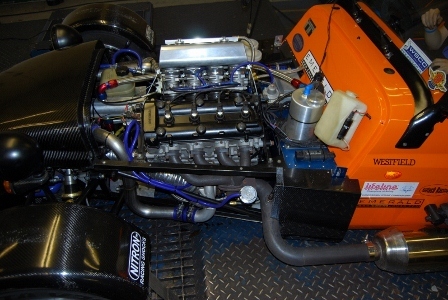 Normally the F1-67 is fitted with four down-draught Webers but this example is a replica of the 1968 car and the carbs would not fit in under the bodywork. To get single seaters on the rollers we normally have to chock up the front wheels, but this car had enough ground clearance to drop pretty much straight in. 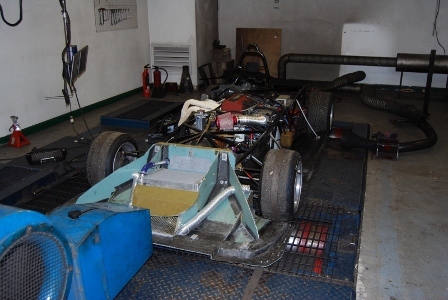 We had a few of the usual first-running problems but it left here with enough power to be terrifying in a sub-600 kilo chassis that is geared for about 250 mph! I used to own a MKII many moons ago. I sold it for £350 which gives you an idea of just how long ago that was. Not the ideal car for central London though at 8 mpg! This example cost a little more than £350 and would do a lot better than 8 mpg. The engine was fitted with the new Mangoletsi E-Type inlet manifold and Jenvey bodies. The inner wing had been shaped back to make room for some intake trumpets and I was told to feel free to experiment with intake lengths. The headline number was 220 bhp which might sound low for the engine spec but Jaguar’s official figures are now believed to be a bit optimistic to say the least. 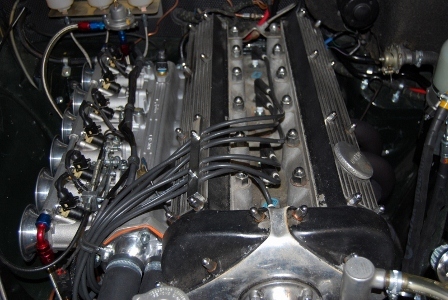 The E-Type is quoted as 265 bhp but we have never seen anything like that from an E-Type on our rollers. After mapping on the tapered trumpets I switched to the ALI (Adjustable Length Inlet) system and made the now familiar gains: 10 to 12 ft lbs torque increase across the mid-range and 1 bhp loss at the top end. The Honda S2000 in the Mallock we did a while back has been doing a lot of winning but suffered from an intermittent misfire. A Honda specialist had a go at it and decided it was something to do with the coil or the spark side of things. We messed about for ages on the rollers trying to duplicate the problem with mixed results. Then it dropped one cylinder after a power run and I was pretty depressed because I thought it was a mechanical failure. It turned out to be just an HT lead that had fallen off the coil. Then on closer inspection we found that all the HT leads were a poor fit. To try to hold them in place, cable ties had been used but this had the effect of “squeezing” the boot and actually pulling the lead away from the contact. The resulting gap was causing interference as the spark jumped about 10mm to the lead. It was such an easy fix but a real nightmare to find. If that lead had not fallen off I think we would still be looking for the answer now. I was told that I had mapped this car before but I don’t particularly remember it - but then my memory seems to get worse by the week. However, when it turned up I looked up the original power curve and it had been done seven years ago. Even after all that time the map was still pretty close, given that some small changes had been made to the set up. Now the car has changed hands and is used for sprints and Hill-climbs rather than track days. What I do remember is that the original expectation was for 350 bhp but it “only” made 285 bhp. The new owners reckon that 285 is more power than they can usefully put down on the hills so it was really just a question of re-mapping to make sure everything was till safe and sound. It was too.